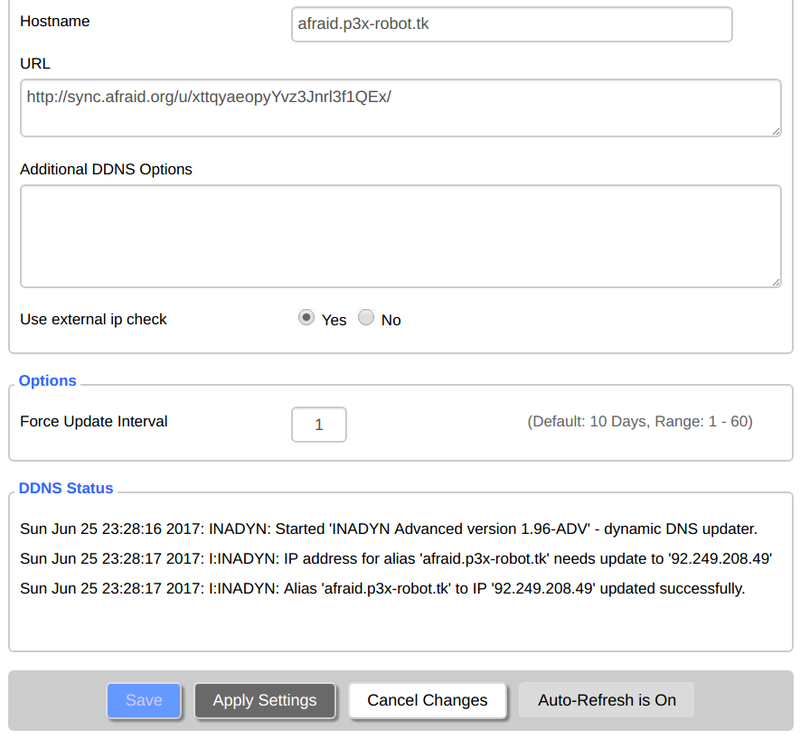 For the example, we use the afraid.p3x-robot.tk domain and dynamically update the IPs. Note: We are using IPv4 and IPv6 as well. 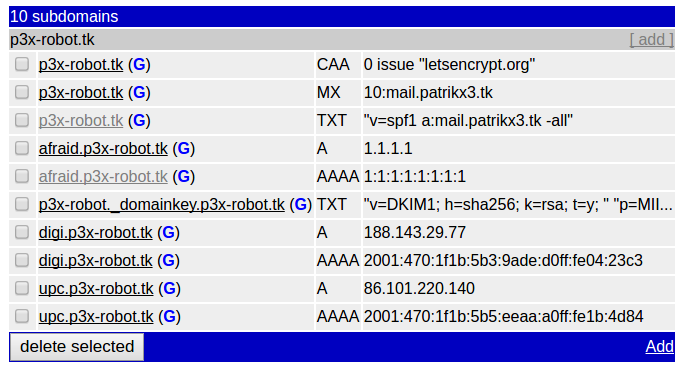 The A DNS record is IPv4 and the AAAA DNS record is the IPv6 address. You can see, that we have invalid addresses: 1.1.1.1 and 1:1:1:1:1:1:1:1. It is important for you, to check the not currently enabled dynamic updates list, otherwise we will not get the required update URLs. , wait for a bit, and as you see above: updated successfully. 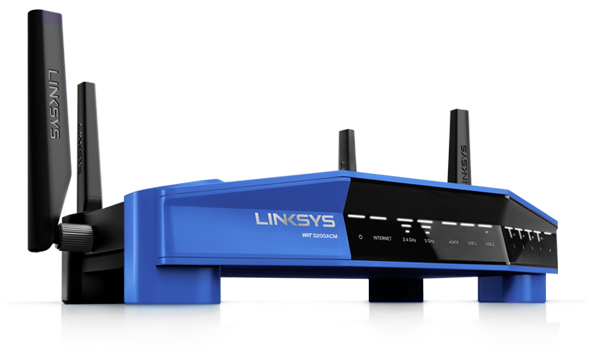 You have to know, that not every router understand IPv6 out of the box, besides, IPv6 get their own IPv6 address (because every hardware in the world gets a unique address), so DDNS is not really needed, but with some ISPs, you still get a dynamic IPv6 address. This is tricky though, you will need to use IPTABLES or something else, but it can be done, you can use the IPv6 URL given to you. 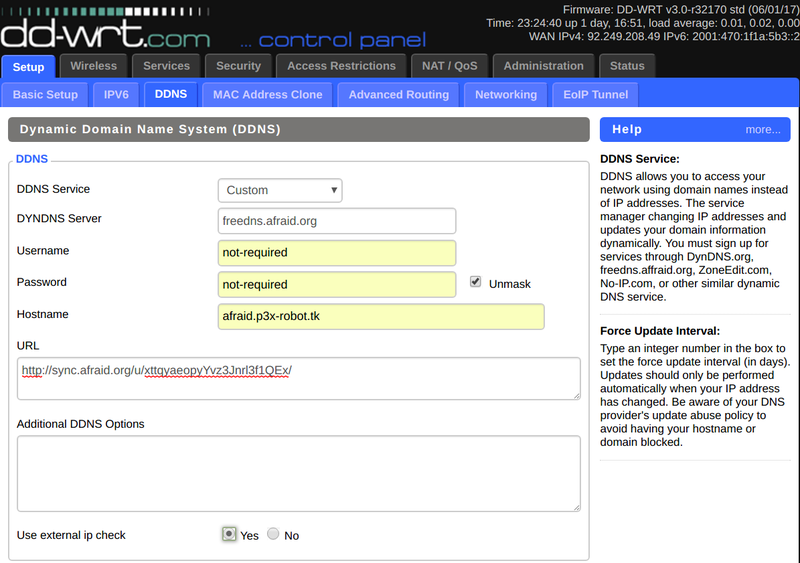 Right now, even DDNS does not support DDWRT out of the box with IPv6. It needs a few scripts, but if you really need help, we have been there, done it, I think you can drop an e-mail from Afraid and we might support you. On the contrary, DDWRT works with cron out of the box. © 2001-2019 Joshua Anderson, Free DNS is currently processing 2,914 DNS queries per second. (5 min average).